What can you do to make sure your voices are heard? 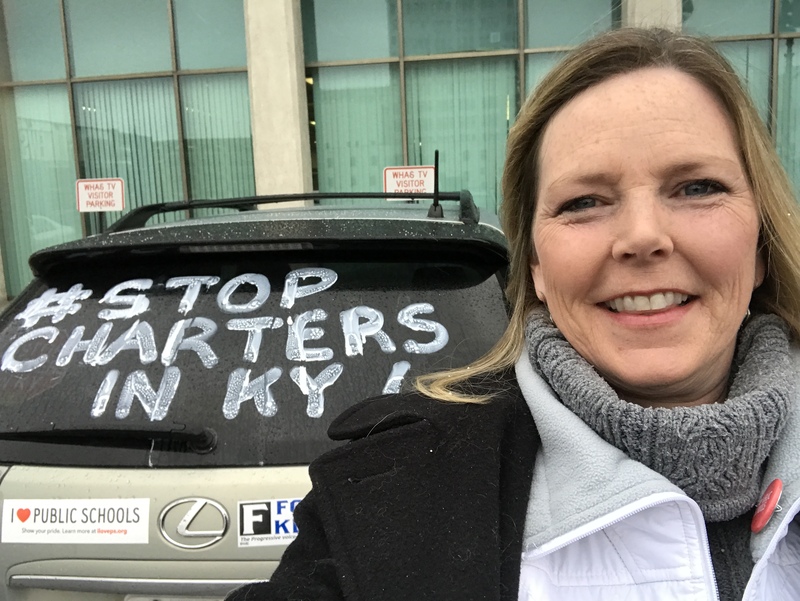 Shoe polish your car windows and head to Frankfort! Make sure the whole state knows we are fired up! Make a stop sign to bring. This one was made with a paint stirrer for a handle. On Monday, April 2, we will be meeting at the top of the annex steps (outside). SOSKY Representatives with red shirts (with crosswalk logo) will be holding clipboards. Check in with them. They will direction to the actions you can take when you get there. Chapter Formation Document – Form a chapter in your county. This is the one from Lexington, just so you can get an idea of the topics discussed. A representative from SOSKY is happy to come to your kick off meeting. Contact Your Legislators – You have two. One in the house and one in the senate. Call, email and write. Tell them to vote no to any charter legislation and your reasoning. 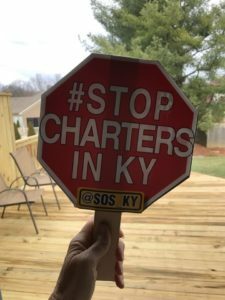 You can find your legislators at this link. To make calling easy, you can simply call 1-800-372-7181 and provide your home address and ask that your message go to both of your legislators. Do all 3! Update your profile picture. This graphic will work great. Right click, save to your desktop and then upload from there. Show the movie Education Inc early and often. Permission to Screen Education – Here is the letter from the producer allowing us to show the movie Education Inc.
Ed Inc Screenings Flyer – Use this template to publish screening times in your area. Instructions for writing note to legislators – encourage folks to write a hand written note card. Offer to stamp and address them based on their address. This is a great activity at the screenings. Write an opinion letter to your local paper – here are some samples of letters others have written. If you need help, contact us. Invitation to Join – Invite organizations to become a member of our coalition. Carry a clipboard and collect email addresses where ever you go. Here is a handy sign up sheet you can use.